Do you really want to say goodbye to BCI? Earlier this week we sent you an email asking you to confirm your subscription to our website so that you can continue receiving our news. We haven't received your confirmation! 1. You did not see our email. We get that. Our inboxes are bombarded on a daily basis too. 2. You did see our email and intend to respond when you have a minute. There aren't many more minutes left before GDPR kicks in. 3. You did see our email and intentionally ignored it because you do not want to receive emails from us any longer. We're sad to see you go, and this is the last email you will receive from us unless you re-subscribe. 4. Because you live outside the EU, you don't think the GDPR rules apply. Technically, you are right. But because BCI lives in the EU, applying the GDPR rules to all our subscribers will ensure we are compliant and following the law and not following where you live. Why do we need your confirmation now? 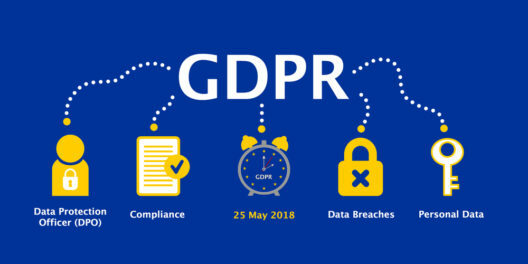 We're doing this to comply with the EU's new General Data Protection Regulations, which come into effect tomorrow, May 25, 2018. At BCI we try not to inundate you with emails. We only share what we think is interesting and know that many of our subscribers also follow our social media channels like Facebook, Twitter, YouTube and Instagram - where our posts are more regular. We typically send monthly newsletters to highlight our guest bloggers like Vicky El-Khoury Zwein's recent experiences from the Lebanese elections, or Frank Talbot's thoughts on local elections in Libya. So, if you want to continue receiving updates, please take a moment to confirm. Thanks, from all of us at the BCI Malta Team!